If you want to organize a special and memorable event, Bratislava has a lot of really special venues to offer. Bratislava is a Smart Meetings Destination. It offers a lot of event venues – from those traditional and typical ones to some very special, that suite a more specific, demanding, and creative needs. If you are looking for some not so typical venues for your not so typical event, here are some tips…. 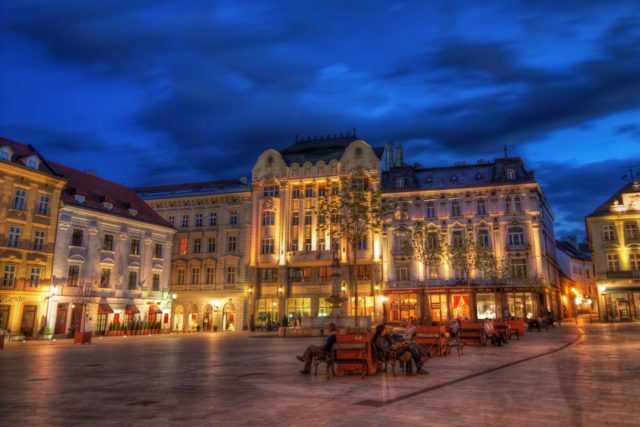 The astonishing building, built in the Neo-Renaissance style, is located on the Hviezdoslavovo Square in the heart of Bratislava’s Old Town. A perfect Venue for creating a modern fairy-tale event. After the event hosted in the Old Slovak National Theatre, one can easily wander around the Old Town and admire all the sightseeing in and around the pedestrian zone. 15 kilometers from Bratislava Old Town, at the foothills of the Little Carpathians, in the vineyards of the Svätý Jur one would find the amazing venue named Wieger’s Villa. When hosting an event at the Wieger’s Villa one does not need to think about the decoration of the venue. The beauty of the villa and its garden stands out by it’s self. 5 minutes’ walk from the Bratislava Old Town and 10 minutes walk from the train station, one would find one of the best beer pubs in Bratislava – FABRIKA beer pub. Great beer, stylish ambiance and best burgers in town. The FABRIKA beer pub could be the perfect pick for your next gathering – especially if you are a fan of a home-brewed beer. This is a coffee shop that also serves as a bookshop and has a particular atmosphere for which it has become so popular among the locals as well as tourists. You will find the Urban Space at Namestie SNP (SNP square), which is just a few minutes from Bratislava city center. A cool mix of modern design and retroelements. Each event held in Urban House will naturally be special and exciting, as the venue has its own unique and personal vibe.